As part of its ongoing commitment to improve members and guests engagement and relations, Karma Royal Group has launched an innovative, integrated Customer Relationship Management (CRM) and database management solution, which enables all guest interactions to be tracked and recorded in real-time in a single cloud-based platform, available to any of the group’s global staff anywhere in the world on any device or channel. The groundbreaking Customer Relationship Management (CRM) System deployed by Karma Royal Group leverages an integrated SugarCRM and InBOX25 solution running on a flexible, scalable, pay-as-you-go Amazon Web Services Cloud (AWS) with managed support services from iZeno. “ We are thrilled with the gain in guest engagement and relations efficiencies that Karma Royal Group has already started to see as a result of decommissioning multiple legacy systems that were being used for storing customer data. 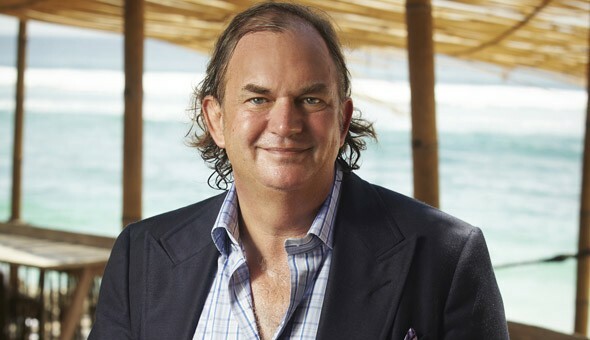 Ultimately, Karma is all about providing a better experience for our guests, knowing what our guests want and when they want it, resulting in a more meaningful, highly engaging stay with the Karma Family, ” said John Spence, Chairman, Founder and CEO of Karma Royal Group. Prior to the new system implementation, Karma Royal Group’s members and guests data was being held in multiple disparate systems, spreadsheets and custom databases in various locations around the global organization. The previous method did not allow for a single view of all guests information and the various interactions with members and guests were being recorded in offline and manual methods. With the new system, member and guest interactions are recorded from all customer touchpoints in real-time or on a daily schedule from various Hotel Property Management Systems, Point of Sale Systems, Spa systems, Beach Clubs, Guest Events, Marketing Systems, into the CRM. Employees have access to a single, unified database-wide view from the CRM, giving them the tools to offer a better member service experience and identify marketing and sales opportunities. As a result of the new system implementation, Karma Royal Group has amassed over 11 million Guest Profile Records and has already seen an increase in sales conversions and in its return guest ratio. Data is enriched as it flows through the organization, ending up in the CRM with in-depth details about family members, their likes and dislikes, social media profiles, preferences and financial data. Karma Royal Group’s new CRM and database management system project was delivered with consulting services by CloudTech, based in Auckland, New Zealand.